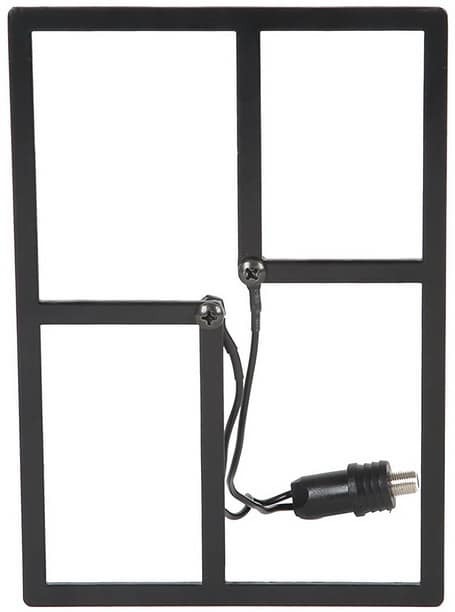 Top indoor HDTV antennas. With prices for cable and satellite skyrocketing in the last decade, people are searching for cheaper alternatives to get the specific channels. These cord-cutters, as they’re called, have ditched cable TV all together, primarily getting content from streaming outlets like Netflix and Amazon. 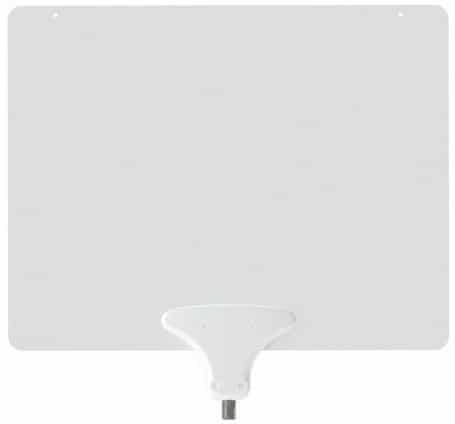 If you’re considering cutting the cord, or have already done so, you may also want to consider an HDTV indoor antenna. In addition to streaming, you’d have access to live television programming from some of the biggest networks including ABC, NBC, and PBS. Luckily, there are many HDTV Antennas options available that are reasonably priced without compromising reception. 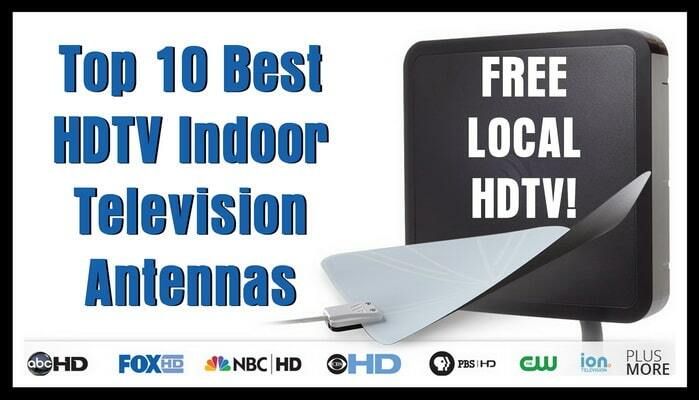 Here are our picks for the Top 10 Best HDTV indoor antennas. Voted as WireCutter’s best indoor antenna and Digital Trends overall top pick, the ClearStream Eclipse is a circular antenna that gets great reception from 35 miles away. 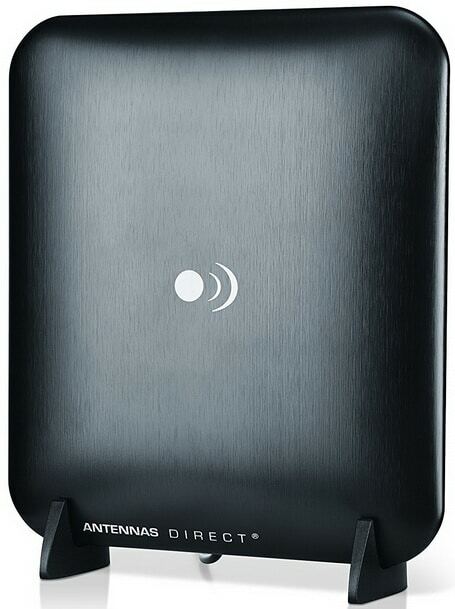 Its adhesive allows you to stick and peel the antenna anywhere in your house for best reception. The Eclipse also comes with a 12 ft. coaxial cord, an asset when your TV is at a distance from where you plan on placing your antenna. If you’re farther than 15 ft. away from broadcast towers, you may want to add an amplifier for greater reach. 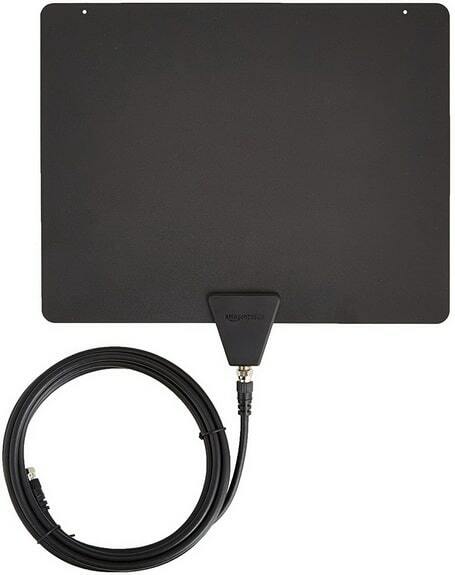 With over 30 channels available, this is one of the best antennas on the market today. If you live in an area with few obstructions and in close range of a broadcast tower, the FLATenna is a good option for you. At just $10, this plastic rectangular gets most of the major networks at an incredibly affordable price. It’s best when placed behind your television, because, unlike the Eclipse, its cord is only 6 ft. long. Plus, it’s rather fragile and susceptible to creases. Despite these issues, it’s well worth its small asking price, and then some. Another great flat alternative is the Winegard FlatWave. The FlatWave has reception for up to 30 miles and is extremely lightweight so it won’t cause a bulky distraction like other antennae. One of its best features is its 15 ft. long cord for improved reception. 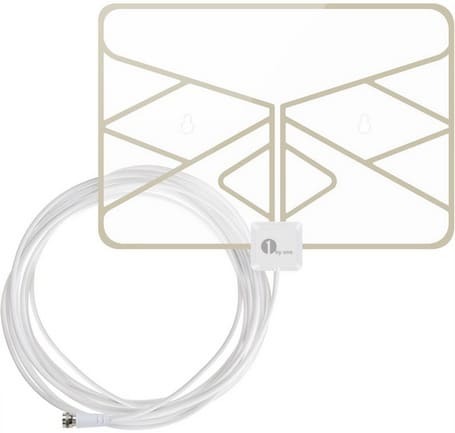 While not as impressive rurally, urbanites will find this to be a solid, slim antenna at a competitive price. The Cable Cutter may be heavier than its competitors, but don’t underestimate its power. With reception up to 25 miles, the Cable Cutter is one of the more preferable indoor antennas. Not only that, it’s a great outdoor antenna if you need more range. Environmentally conscious? Then check out Mohu Releaf. Unlike the other flat antennas on this list, the Mohu Releaf is made from recycled post-consumer cardboard and other recycled materials. It’s notably paper-thin and able to hang on multiple surfaces in your home. Remarkably, the Mohu Releaf also receives 4K television. Though it’s cable is only 10 ft., its reception is on-par with its competitors, as is its price tag. For smart design and superior amplification, there’s no better than the Mohu Curve. The small, gray Curve is literally a curved antenna that can sit anywhere in your home. You heard it right, sit. It rests on a stand, looking like a unique sculpture you’d see at an art exhibit. The non-amplified version reaches only 30 miles, but 50 with an amplifier. 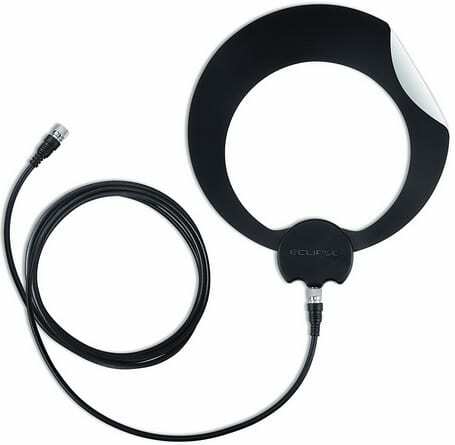 In sum, the Mohu Curve will give you the channels you want and look good doing it. A simple transparent design sets the 1byOne apart from the crowd. It can attach to a window, providing a clear antenna that looks nice trimmed in gold. Comes with a 20 ft. cable and registers almost 40 channels. At only $18, this is a cheap option with style to spare. 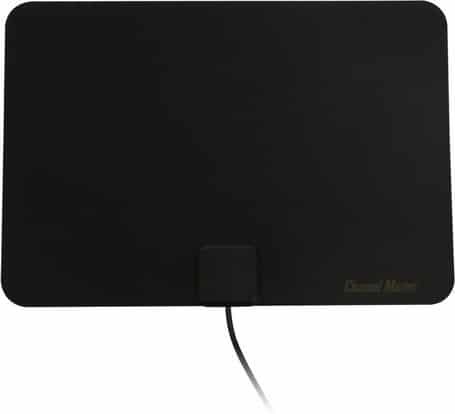 According to TopTenReviews, the ClearStream Micron picks up over 25 channels, making it their 2nd best HDTV antenna. That means, for just $23, you’ll get more content than many of the unamplified versions of other antenna at or above the same price. Clearly, this makes it a favorable choice among buyers. Its major drawback, however, is its clunky design which, in comparison to the Mohu Curve, looks large and bulky sitting in front of your television. 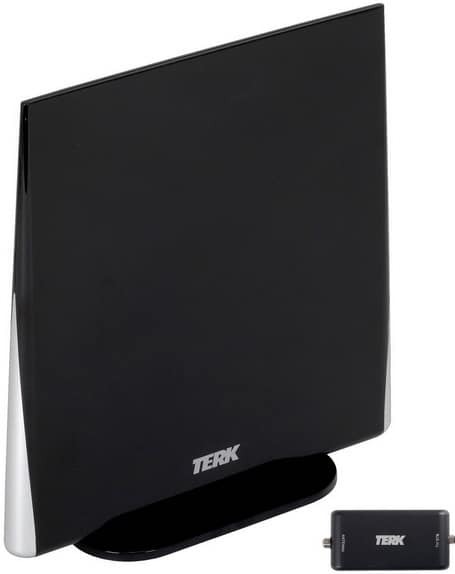 Similar to the ClearStream Micron, the TERK Omni-Directional, Amplified Digital Flat Indoor HDTV Antenna is a large set-top antenna that gathers the same amount of channels. It may be more expensive, but it’s comparable in all other aspects including range and the ability to hang it or put it on a shelf. You’re in luck if you live in a suburban area, as the reception is stronger there. One of the cheaper choices on this list, the AmazonBasics Ultra Thin model is perfect for cable-cutters with clear tower range hoping to cut down on expenses. It may not receive as many channels as the other antennas, but you can buy an amplified version with a 50 mile reach for less than $30. It says it in the name — AmazonBasics gives you the basics at none of the cost. 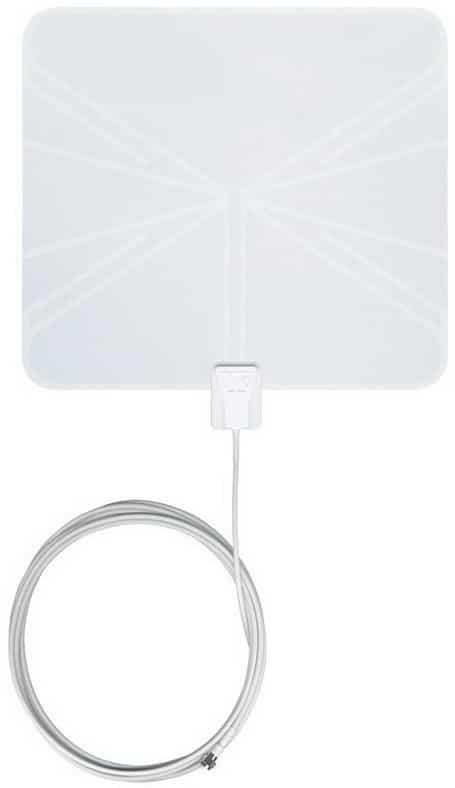 Need help setting up your HDTV indoor antenna? Contact us below. We’ll give you easy-to-follow tips so that you can start watching your favorite TV programs without all the fuss. Previous post: TV Will Not Come On – What To Do? Next post: Laundry Charts For Clothing With Symbols On The Tags – What Do They Mean?